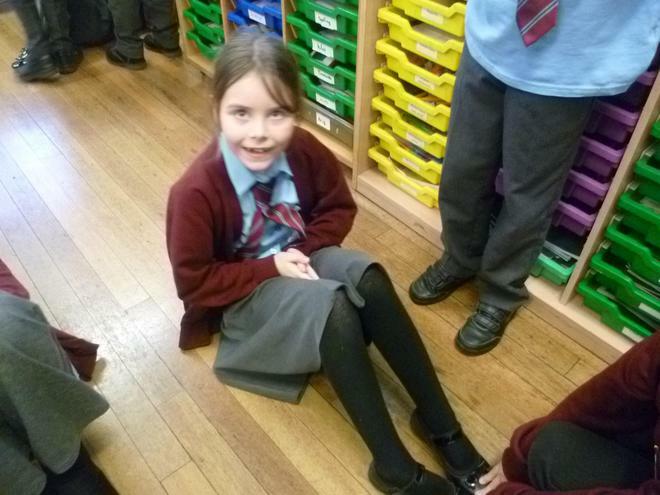 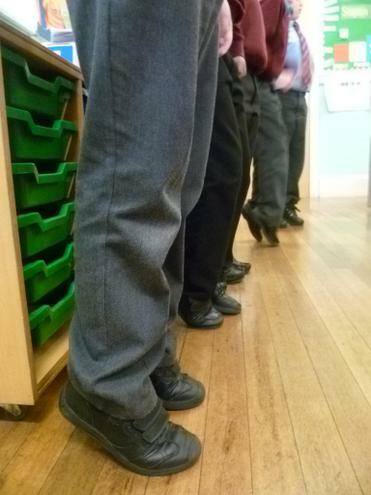 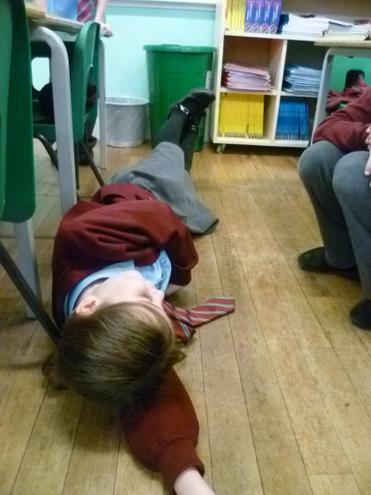 In science we have been learning about our bodies. 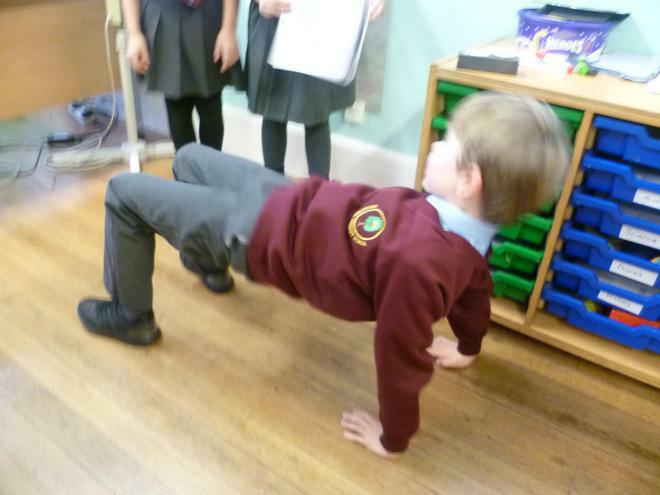 We began by looking at nutrition, discussing what makes a healthy diet. 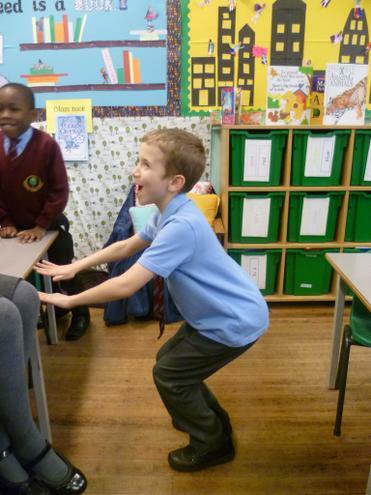 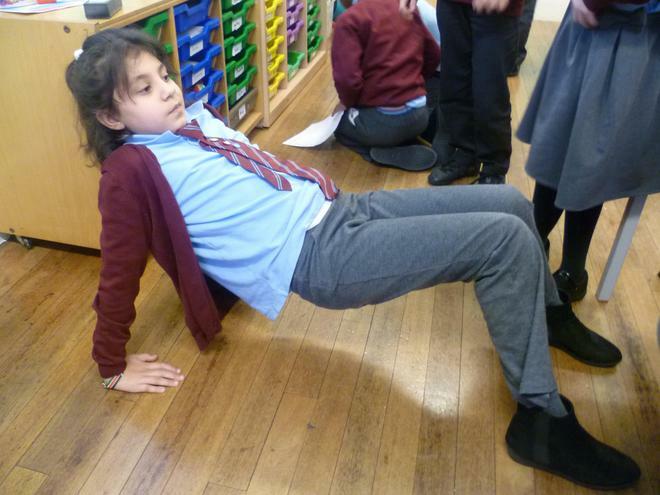 We then moved on to learn about our skeletons and muscles. 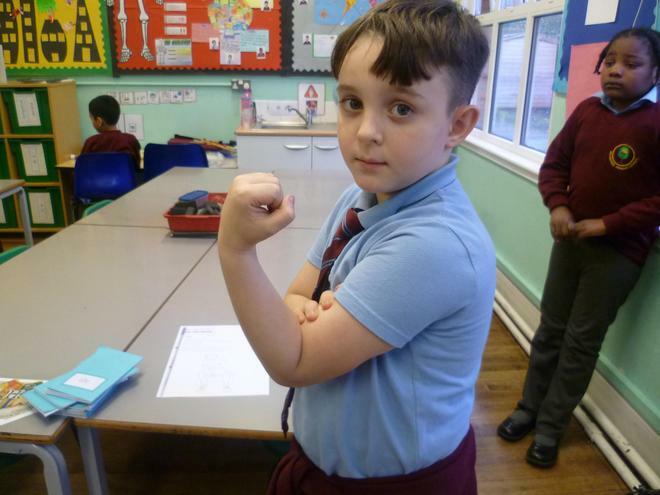 In this lesson we completed different exercises to find out where different muscles are located in our bodies, and we learnt the names of some of these muscles.